A family's world was turned upside down when told a young girl's life was at stake due to a rare kidney disease. One year later, the family learned she would be eligible to receive a life-saving organ transplant in time to celebrate her third birthday. When Katherin Joiner was 30 weeks pregnant, she learned that her baby, Lilah, had autosomal recessive polycystic kidney disease, a rare genetic condition which causes cysts to develop within the kidneys, resulting in loss of function over time and the failure of other organs. After Lilah was born, her kidney became so enlarged that it impacted her ability to breathe. As the disease spread, it also caused a major risk for liver failure. Lilah's family, from Carthage, Mississippi, took her to a hospital in Birmingham, Alabama, where she was on dialysis for two years. Doctors told Lilah's family that the only solution would be to have a multi-organ transplant within the next few months. Lilah was listed for transplant on July 31, 2017. "We were obviously so heartbroken," Katherin Joiner told "GMA." "That was the last thing we expected to hear." Lilah Joiner was diagnosed with autosomal recessive polycystic kidney disease when her mother was just 30 weeks pregnant. Lilah's doctors advised her family to seek a donation from someone still alive due to her mortality risks, telling the family they'd need to proceed immediately with the operation. Her family decided to take her to the UPMC Children's Hospital of Pittsburgh for the transplant. "In the United States, there aren’t enough deceased donors to help the patients with organ transplant," said George Mazariegos, chief of pediatric transplantation at UPMC Children’s Hospital of Pittsburgh. He added that 10 percent of children nationally who need a liver transplant don't get one in time. "We’ve been fortunate in Children's Hospital of Pittsburgh with living donation and other resources to help these children in a timely fashion, but it's always a potential risk." 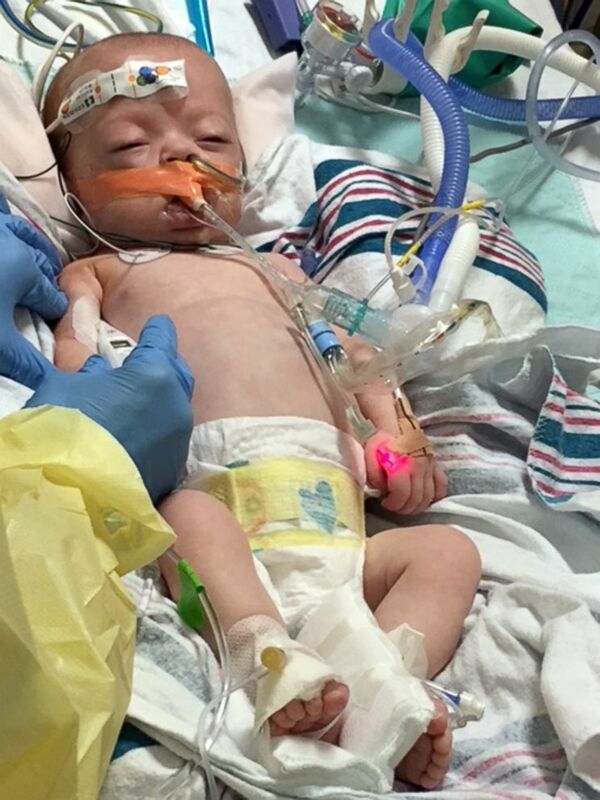 Lilah's family and doctors shared that her bravery throughout this daunting process has been an "inspiration." "One of the things that struck me was, despite what she needed to have done, she was a really delightful child," Mazariegos said. "She was trying to make the best of the situation." 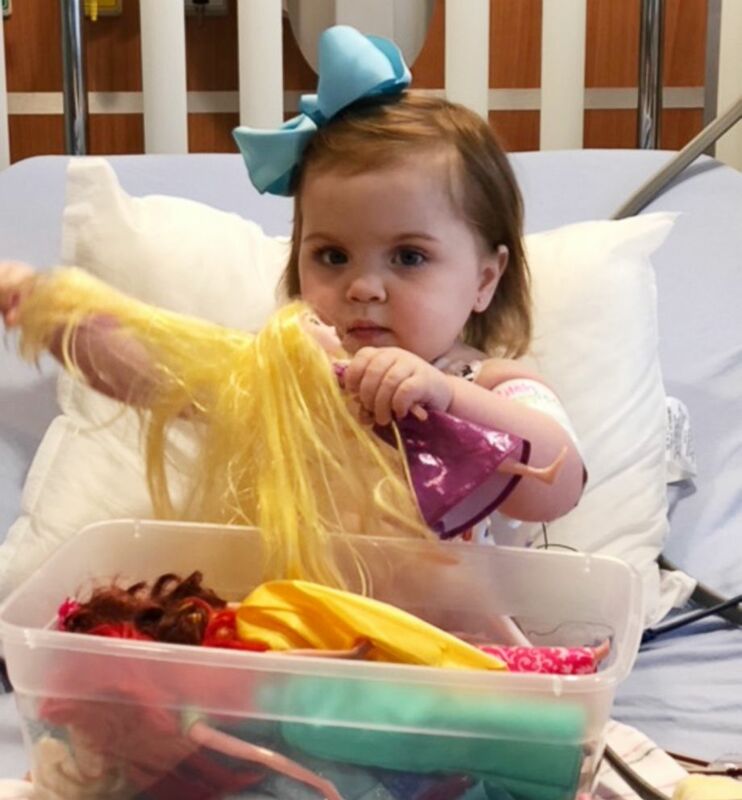 Lilah Joiner plays with a doll while in dialysis. Lilah's strength inspired her mother's best friend's husband, Joseph Smith, to register as her living donor without hesitation. "My wife, Hunner, and Lilah's mom are close friends, and I immediately told my wife, 'Where do I sign up and what do I need to do?'" Smith told "GMA." "I signed the application and a few weeks later got tested at the hospital for the liver donation." Smith's wife and Lilah's mother also posted on Facebook about Lilah's surgery and the need for a kidney donor. An extended family friend, Missy Lathem, saw the post and immediately called Lilah's family, saying she was a match. 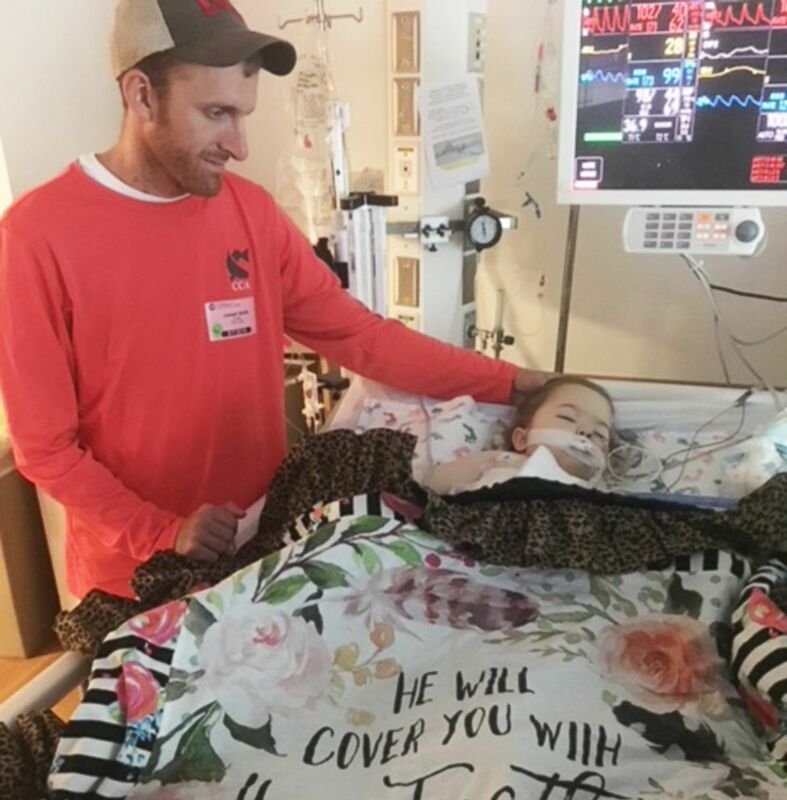 Lilah Joiner's liver donor, Joseph Smith, stands by Lilah after her liver transplant at UPMC Children's Hospital of Pittsburgh in 2018. "The donors are the real heroes in this story, along with Lilah," Mazariegos said. "Because of the way they helped her and really thought about the impact for their lives." On July 31, 2018, a year to the day she was put on the list for a transplant, Lilah had two living-donor transplants. Joiner said her daughter cried when she told her what her donors were doing for her. "If you saw a child hungry on the streets, you would do anything to help them," Smith told "GMA." "That's how I felt about Lilah. She needed something to live since there's no other cure, and there was no doubt that I had to step up and give her that help." Now, after the dual transplants, Lilah is happy, healthy and celebrating another year of life after a challenging two years. 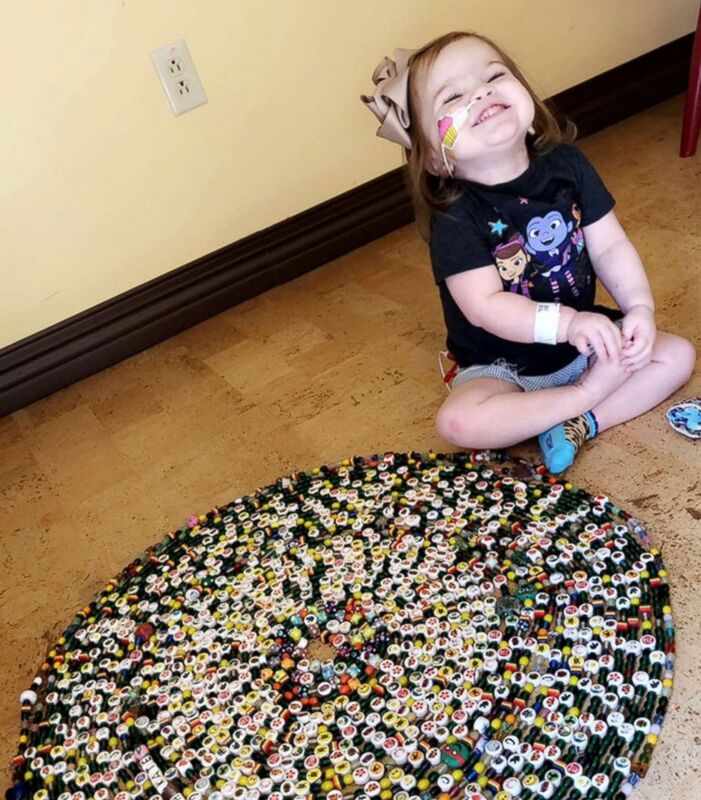 Lilah Joiner sits with her collection of "Beads of Courage" that she was awarded for medical procedures and treatment milestones. "This is the best birthday gift she could ever receive," Joiner said. "She's just loving life with her new kidney and liver, and she said, 'I'm so excited I get to eat pizza now!'" Lilah's mother is extremely grateful for family friend's giving her daughter the ultimate gift. "There's no words to describe as a parent what risks you would go through for your child to make sure they're OK," she shared. "Living donation saved Lilah's life."